I believe that Anathema It is one of the best science fiction books I've read this 2009. But I am obliged to warn in advance that it is not easy to read and it is necessary to perform an act of faith during the first 150 pages of the book. 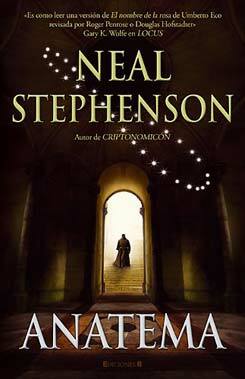 That said, the typical good book by Neal Stephenson: great prose, good sense of humor, impeccable setting and well created and deep characters. all a joy. If you also like philosophy, music, mathematics and science in general, then you would not stop reading. Writing this review will not be easy (hence this task has been delayed a few weeks), there is much to explain and much to consider. As far as the argument is concerned, Stephenson unveils us little by little the story of a planet called Arbre, like Earth but not the same, with a history of collapse and social and cultural rebirth that has taken so far in which the action of this book lies. The actual plot begins with the discovery in the sky Arbre of an alien spacecraft orbiting the planet for two years. Our protagonist and his companions sources (As Arbre vocabulary, people who have sworn to follow the Discipline Cartasiana and they are living in a kind of monasteries called concentos) Shall establish contact with the ship and try to understand these strange beings coming from elsewhere and not chemically or culture share with the people of Arbre. ... This paragraph corresponds to page 120 of the book. I promise to prospective readers that by the end of the book, passages like this are totally clear and understandable ... at least as regards vocabulary. Little by little you discover that a "cismex"It is something advanced to a mobile phone, a"syntactic device that uses quantum theoretical"It is something like a quantum computer and when referring to a Faraday chamber do calling it a 'Cesto of Bucker Sante"... It ends up being even fun to appreciate the changes in vocabulary. I selected this paragraph in particular for another reason: the "...cantaron and motets". And I thought that probably only the 16 geeks that we meet every Wednesday to pay tribute to Piarist father introduced us to music 30 years ago and we respect singing motets in his honor, knew what a motet !!! It turns out that Stephenson knows, and what is more important in this case, the translator of the book also knows !!! In fact, the great honoree commenting Anathema should be the translator, so I'm going to devote the next paragraph of this review. Pedro Jorge Romero: This is a Galician-making that I think is my age (1967 ... c'mon) and I admire for his work, for many years. I think I discovered it around 1995 on the Internet in news groups devoted to science fiction. Already in 2003, 2004 and 2005 while I was in Noticias.com sindicaba RSS content your blog to incorporate the articles published in this newspaper online, for its originality and because I loved. Peter George was also a fanzine editor BEM Science Fiction that was all the rage in the 90s, and the alma mater of Nessus file (An extinct website dedicated to science fiction). Along with Rafael Marin (another author and translator who has stolen my heart) are who translate a large part of the books of Ediciones B Nova collection, dedicated to the science fiction and directs Miquel Barceló. 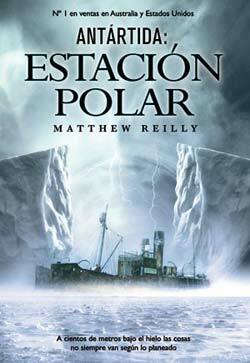 I know that some credit that enchant me Neal Stephenson's books is thanks to the work of Pedro Jorge Romero. So I am very grateful. In the case of AnathemaThe work of Pedro Jorge must have been very difficult and deserves my sincere compliments and congratulations. Back to AnathemaIn addition to the theme of "motets” también me ha entusiasmado el trato científico que da a la música y concretamente al poder de los armónicos que producen los bajos, que se acoplan tanto al lugar en el que se cantan como físicamente en la cabeza de quienes cantan, llegando a modificar (según el protagonista de ésta historia…) el funcionamiento de la mente. Seguro que los monjes budistas del Tíbet están de acuerdo con él. In short, it is a book that I loved, which is long to read through more than 700 pages, but after the first 100 pages is bearable, but you end up with wrist pain if you try to read several hours. The book suggests dream and, above all, as you discover why why the alien ship is in orbit Arbre. The book is 100% recommended if you are an advanced reader of Science Fiction, for someone starting out would not recommend it because it is too "hard" to start both the CF and Stephenson's world. Instead, it would recommend starting with reading Stephenson Baroque cycle, with the Criptonomicón or even better, Snow Crash which is much simpler, if you want to get into it gently. El próximo 28 de enero tengo el placer de participar en la Jornada dedicada al Electronic commerce que organiza Barcelona Activa. Estas jornadas llevan por título BarCamp – eCommerce y siguen el formato de taller temático. El objetivo de sus organizadores es que estas jornadas proporcionen las herramientas necesarias para conocer el funcionamiento y desarrollo del comercio electrónico. Para ello se comentarán las problemáticas de los campos típicos del e-commerce como Tecnología, Logística, Marketing Online, posicionamiento en buscadores, atención al cliente, optimización comercial para tiendas online, E-Commerce Internacional, servicios añadidos, problemáticas legales y jurídicas y métodos de pago. Qué tecnología para qué tiendas? Mi participación será en el taller sobre de los mejores canales para conseguir clientes para un comercio electrónico. This is a book that is read at a time and engaging from the first page, but it is not science fiction itself (increasingly costs more to find science fiction in bookstores), it is a technological thriller with a good base is key scientific and military context. 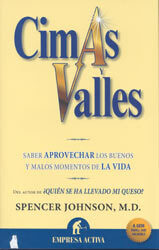 If not because it is clear that the author is Matthew Reilly, an Australian born in 1974 who had not read anything above, as indicated by the review of the New York Times, it seems that he has written himself Michael Crichton or Clive Cussler by fast pace that prints its scenes and suspense generated at the end of each chapter. A team of US marines, a charismatic but miss time Lieutenant Shane Schofield at the head, goes to the polar station to protect the find, while in the United States a journalist investigates about conspiracies between the military, the CIA and other government agencies, and a former military look to unmask infiltrators into the body of the Marines, one of these agencies. In short, it is a good book for a weekend of fun week, but not forcing you to concentrate on the details or plantearte existential dilemmas. Personally, I have learned a lot about military weapons and strategy. That said, it is a book 100% recommended.